T-Series Super Cassettes Industries Ltd., Karma Features Pvt. Ltd. The bittersweet tale of a 30-year old Gujarati girl Praful Patel who turns to gambling and robbery due to unforeseen circumstances haunting her. The bitter-sweet slice of life tale of a young girl Praful Patel who turns to gambling and robbery due to unforeseen circumstances haunting her. 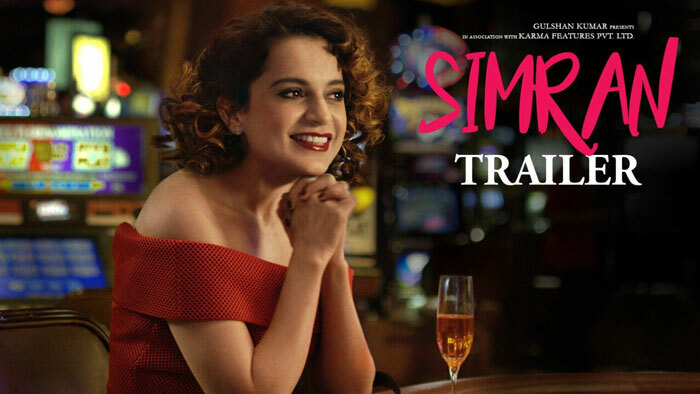 Simran Positive Points: Kangana Ranaut’s flawless performance that enlivens Praful’s character. The undertone of the movie is kept positive and is balanced well with the downsides that reflect in the plot. The first half is fast paced and intriguing. Another interesting aspect is its unpredictable climax. Kangana Ranaut talks about her flops & the resulting effect on her earnings!